Part of our commitment to providing long term GIS solutions is through GIS training. The training is broken down into 2 modules and is conducted in workshop sessions held at the client premises or at our office. 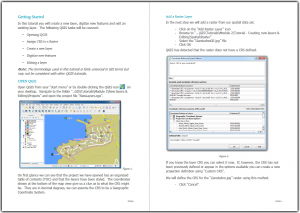 Module 1 covers the basics of GIS and is aimed at the GIS novice. Students familiar with GIS will also gain from the module as it is deals with the fundamentals of GIS. 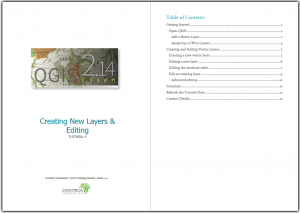 Module 2 is a set of practical tutorials where the student is introduced to a "Desktop GIS" software package. All examples in the tutorials are tailored to each client's unique spatial requirements. This gives them an immediate insight into how GIS could be applied with in their organization. Course material and digital data are provided by SMS. SMS currently offers training in the Quantum GIS or QGIS software solution. Quantum GIS or QGIS is a freeware "Desktop GIS" solution which is receiving great support globally, proving to be a popular GIS solution for many organizations. Spatial Modelling Solutions offers GIS training in Cape Town and all other major centers in South Africa. Please contact Ian Wilson at SMS to request a quotation or if you have any queries with regards to course content.